Media are invited to attend the cooking shifts taking place from Mon., Nov. 12 through Thurs., Nov. 15 in the Campus Kitchen Lounge 4:30 p.m. to 9 p.m. Please make arrangements in advance. 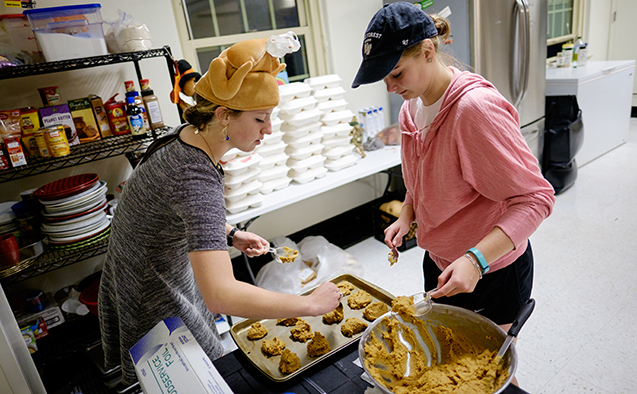 Turkeypalooza, hosted by Wake Forest’s Campus Kitchen, coincides with National Hunger and Homeless Awareness Week. During the academic year, the student-run program provides nearly 250 meals a week to organizations in Winston-Salem.